With our in-depth knowledge of this domain, we are actively engaged in offering an excellent quality assortment of Wooden Bench. We offer supreme quality Wooden Elephant Bench to our valuable customers. By using advanced tools, our craftsmen manufacture these wooden benches in adherence to the international quality standards. The perfect finish, resistance to termite, alluring design and elegant design, makes these benches highly demanded. This is Retro Industrial Wooden Bench also know as Vintage Industrial Bench. We are maufacturer and exporter of All type of Indian Antique Industrial Furniture. Please contact us for more products pictures and price offer. Size: 60 inches long, 11.25 inches wide, 14.5 inches tall. - Ideal for houses, hotels, resorts, etc. 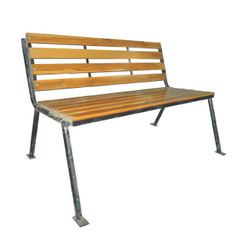 To accomplish the numerous requirements of the clients, we are engaged in providing a high quality range of Wooden Seating Bench. 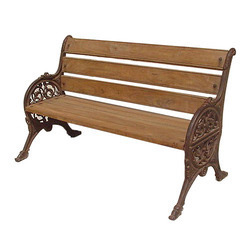 Beautiful Viparit Dandasan Bench Crafted with at most precision from India. We have given our fullest efforts & attention while making this bench and bringing it into the Yoga world from Pune. Yogikuti Viparit Dandasan Bench is uniquely designed yoga prop for multipurpose use for various backbends , Forward bends. Driven by a vision to achieve significant growth in this industry, we are providing a premium quality array of Wooden Garden Bench.